Dal Dhokli is a meal by itself. 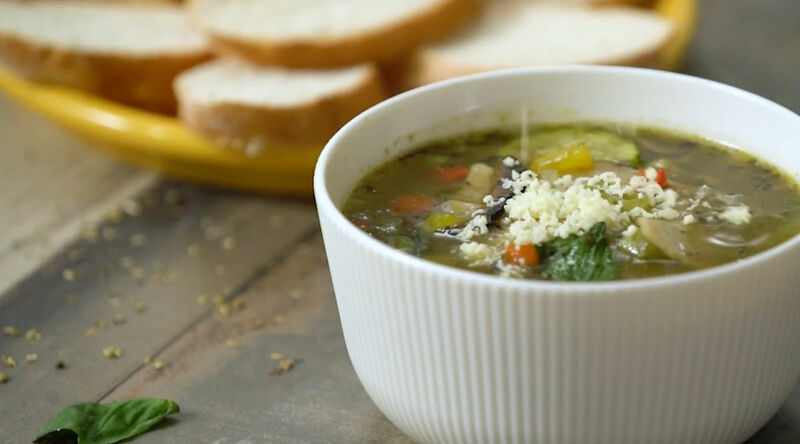 Holding the perfect balance of protein and carbohydrate in its taste, you could have it with either some Papad, pickles, or even both. You can make the this with Tuvar dal or a mixture of Split green moong dal and Chana dal. 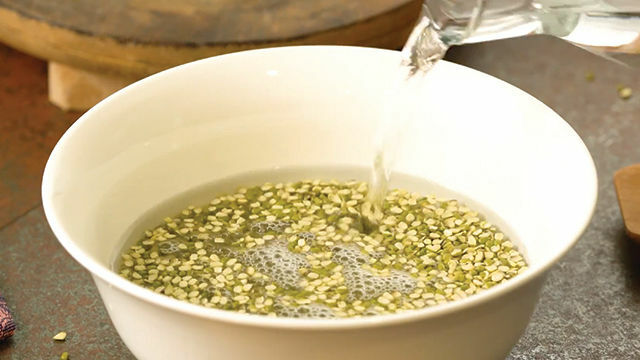 1 Wash the Split Green Moong Dal nicely and soak it in 2-3 cups of water for at least half hour. Pressure cook the dal in 3 cups of water, a pinch of turmeric and a drop of oil for 3 whistles. Open the pressure cooker only after its completely cooled. 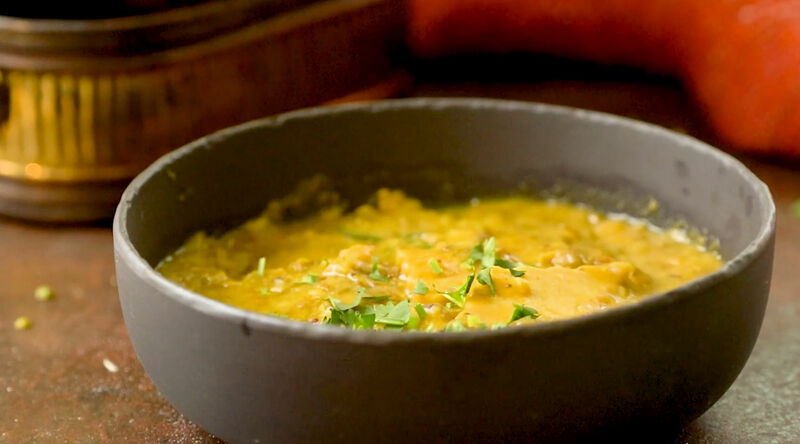 Once the cooker is cooled, open lid and whisk dal to make a puree consistency. If you find it thick, add some more hot boiling water and mix well to get the required consistency you prefer. 2 Mix all Dhokli ingredients in a big bowl. 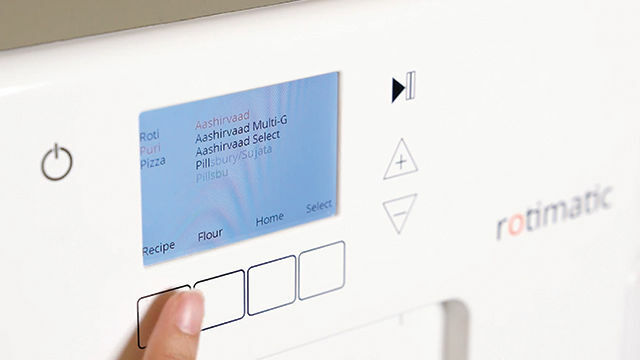 Transfer the dry ingredients from the bowl to Rotimatic flour container. Fill water and oil in the respective containers. 3 Make puris using the Rotimatic settings. Remove the flattened disc IMMEDIATELY from the Rotimatic. 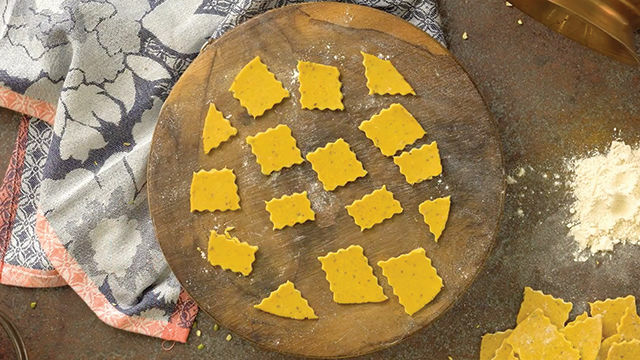 Using pastry cutter or pizza cutter cut the flattened puri dough to 1”X 1” pieces as shown in the pic. Dust a bit of flour on them and leave it out for 30 mins to cool down. 4 In another medium pan, add ghee, once melted and hot, add Cumin seeds, Mustard seeds, Bay leaf, cloves and cinnamon. 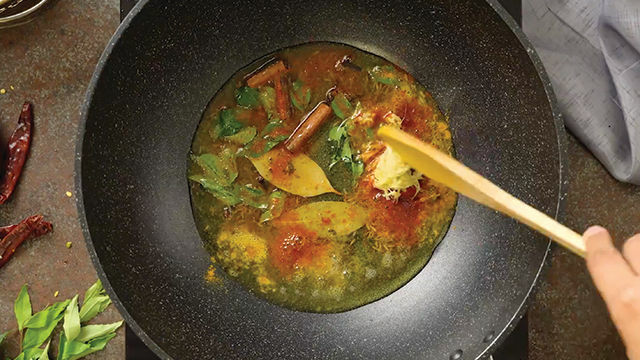 After cumin and mustard splutters and you get a nice aroma, add chilli powder, turmeric powder, Hing, curry leaves and grated ginger. Saute for 10-15 secs. Make sure the ghee is not too hot (very hot ghee will burn the chilli powder and taste changes). 5 Add the cooked dal puree now, be slow and careful. Mix well. Add the Dhokli’s and stir well. Add salt and chili powder according to taste. Once the Dhokli’s start to cook, it will float up. 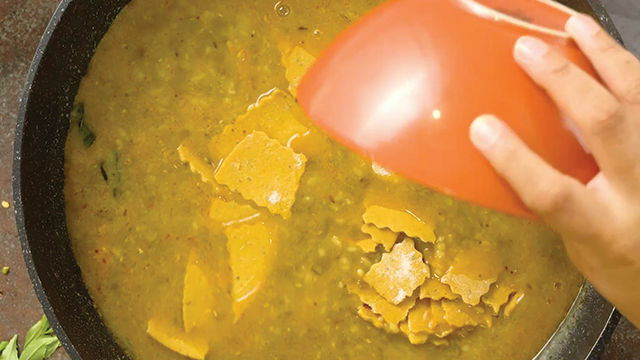 Let the Dal boil for at least 12-14 mins for Dhokli’s to be soft and cooked well. 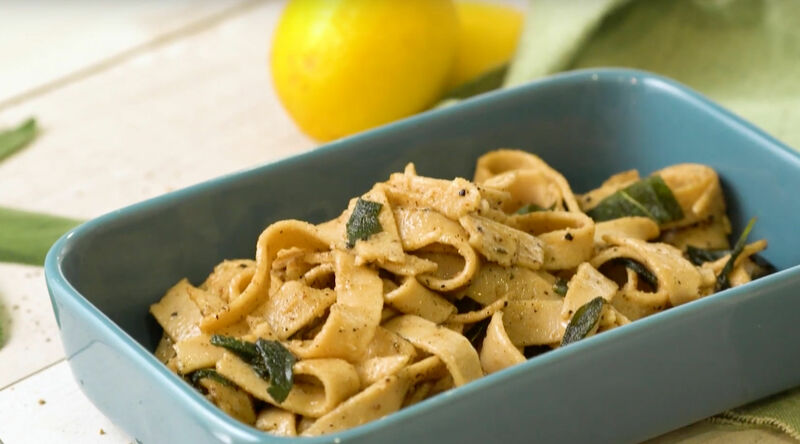 6 Garnish it with coriander leaves and lemon juice.